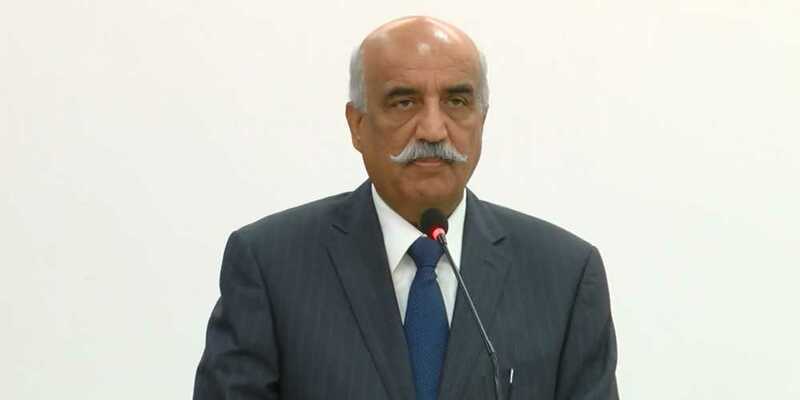 Opposition leader of the National Assembly Khursheed Shah has said that Election Commission should create such an environment in which no one raises questions upon it, holding fair election will be loyalty to the country. In a statement Khursheed Shah said that politicians should get level playing field for politics, if Nawaz Sharif would have realized it then he should have expressed concerns in 2013’s election results, good for himself, he should express his opinion on the wrongdoing done to others. Khursheed Shah said that in the past, questions were raised in elections, we were the one to give autonomy, if the institutions try to get involved in the game then it will not be sincerity to the country. He further said that Election Commission is responsible for free and fair elections. Election Commission should make such an environment in which no one can raise a finger to it. Holding crystal clear elections is loyalty to the state, constitution, and people.